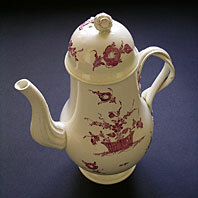 References: For examples of Melbourne Pottery with purple monochrome decoration see Creamware and other English Pottery at Temple Newsam House Leeds, Peter Walton. colour plate page 184. 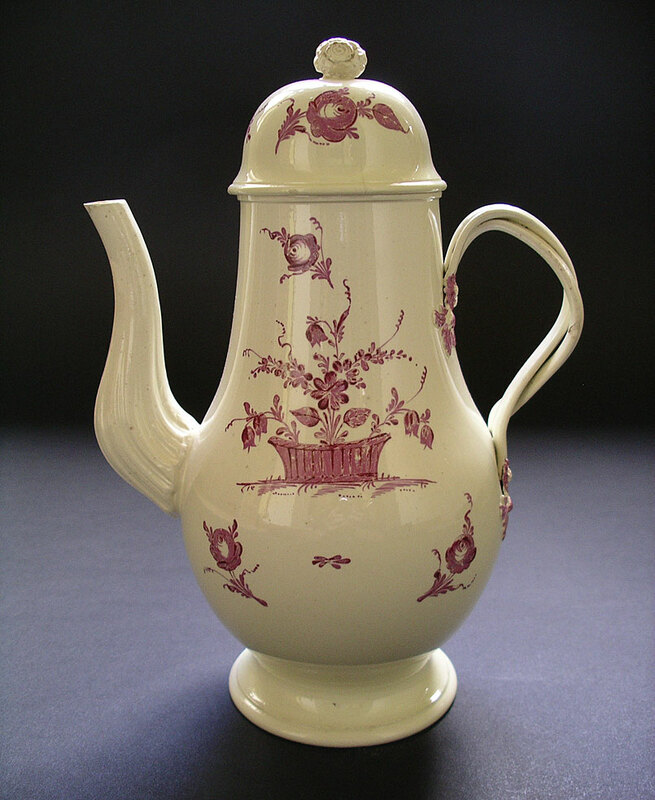 Catalogue example 752 illustrates a contemporary Derbyshire attributed teapot that appears decorated by the same artist as this fine piece. Dimensions: height 280 mm max. approximately 11 inches, width 195 mm max. Condition: In excellent display condition and overall a great example with no significant defects. 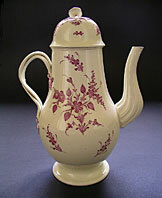 Condition report: There are several tiny flake chips/glaze grazes to the edge of the spout and three tiny flake chips to the top rim edge of the coffee pot body noticeable on close inspection. 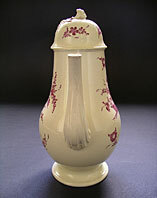 To the lid there is a fine tight hairline that extends down from the finial and one small glazed over chip (from firing) and some minor fritting/flake chips to the inside flange rim. 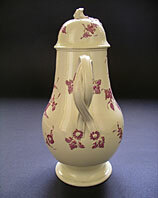 Some typical light rubbing wear to onglaze decoration which overall is excellent for display. No restoration. 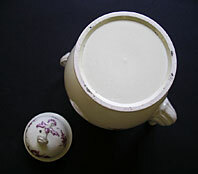 A beautiful choice example of finest antique English pottery creamware.